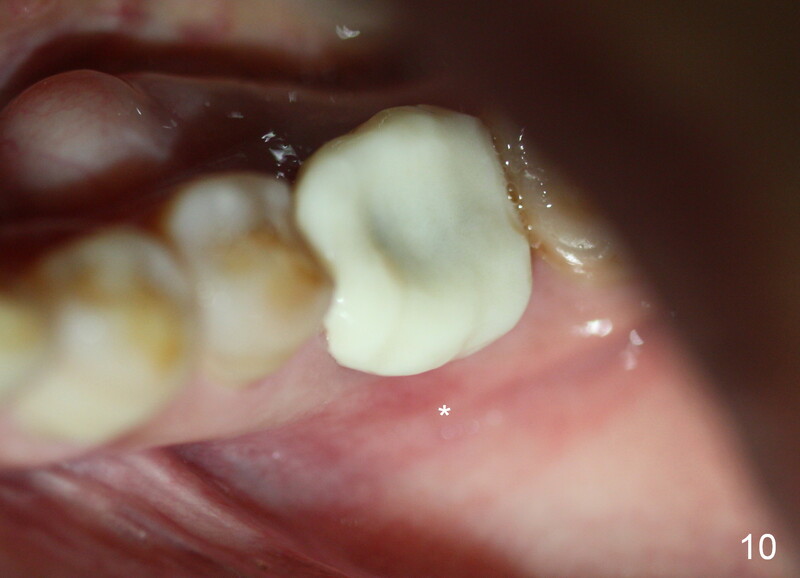 A 54-year-old lady visits USA and suddenly develops crack syndrome associated with the tooth #19. 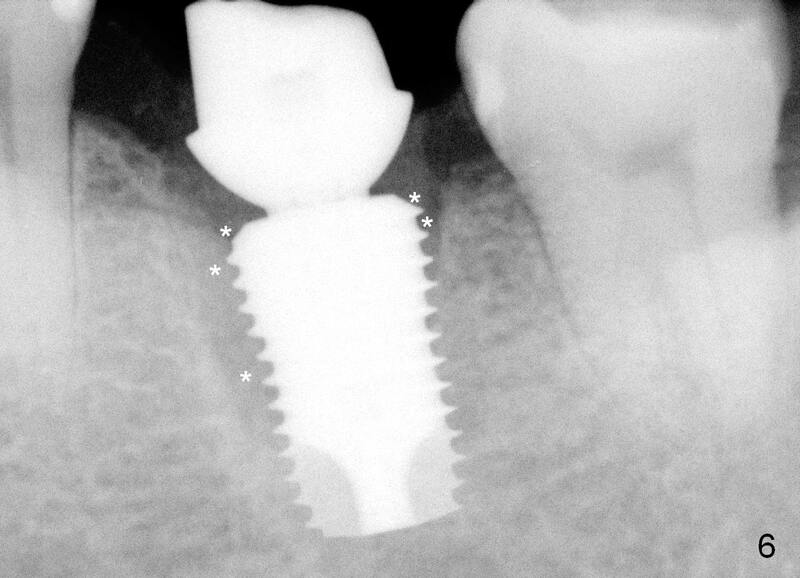 It appears that immediate implant is the best option, since she will leave in 3 months. Initially Amoxicillin controls the pain. 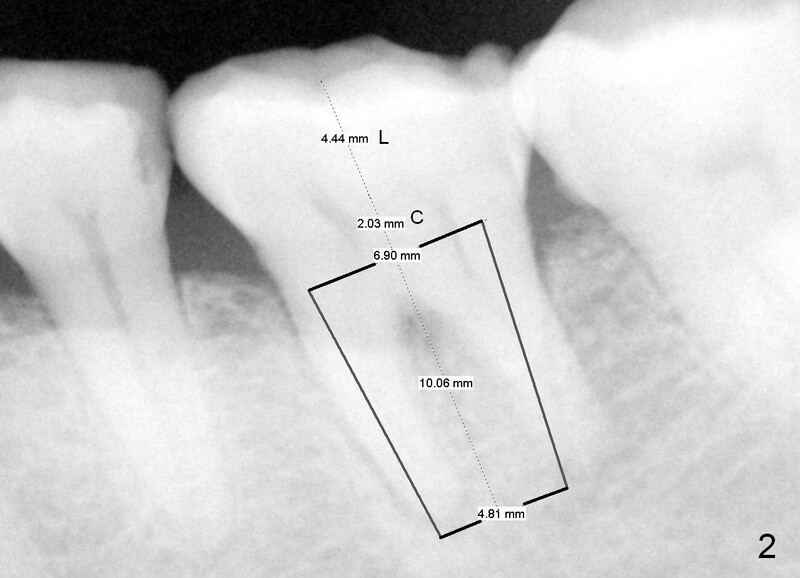 In a month, abscess occurs buccodistally (Fig.1 A). She accepts the treatment plan. 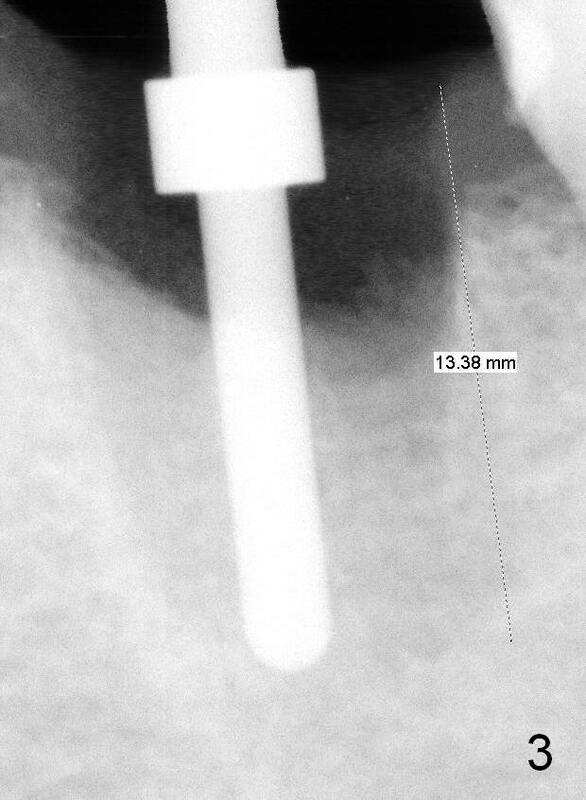 It appears that a 6.9x10 mm submerged implant fits the socket (Fig.2); there is enough space for an abutment. 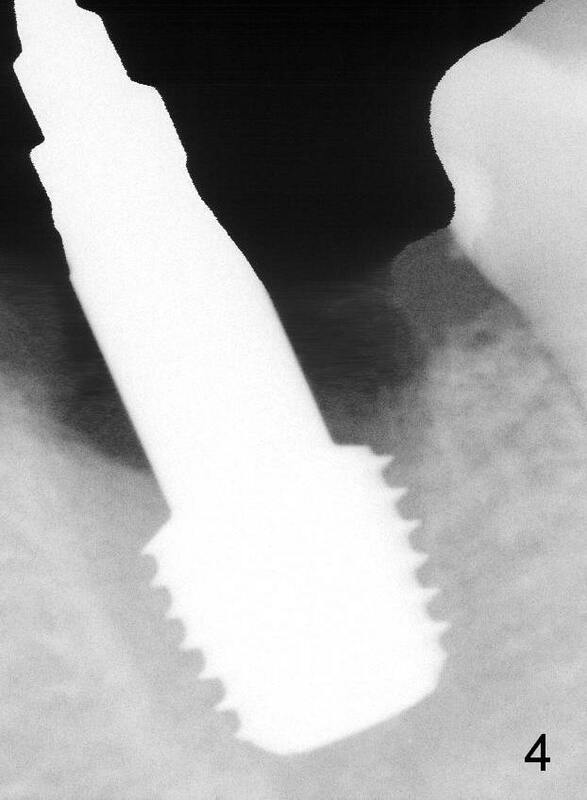 After extraction and debridement, a septal slot is made using a high-speed handpiece and a fissure bur (Lindamann bur is not efficient in cutting). 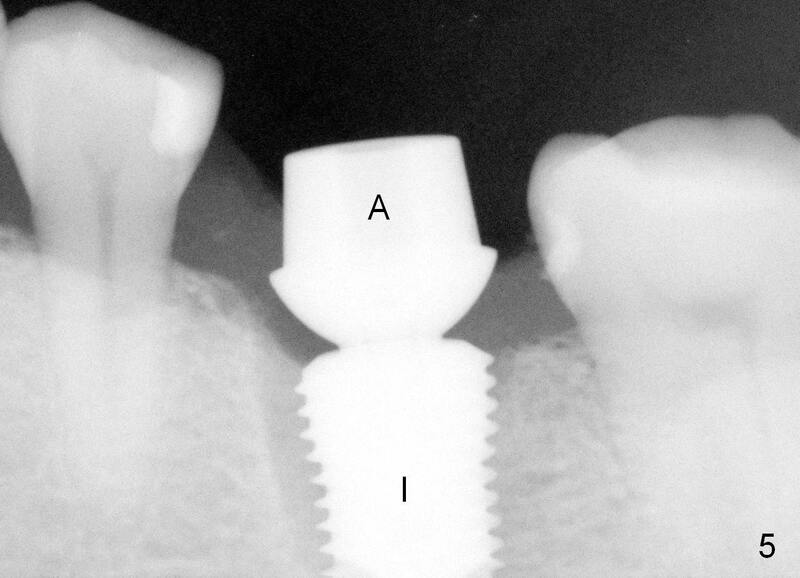 Osteotomy starts in the middle of the septum (Fig.3) and gradually slides into the distal socket (Fig.4). 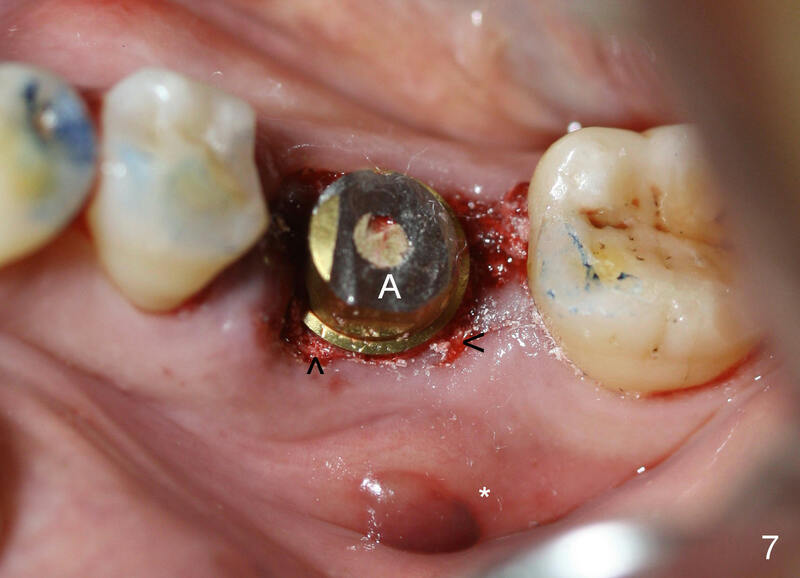 As planned, a 6.9x10 mm implant is placed with 35/55 Ncm (Fig.5 I); a 7.8x4(3) mm abutment is hand tightened (A) and adjusted in height (Fig.6,7). An immediate provisional is fabricated (Fig.8 P). 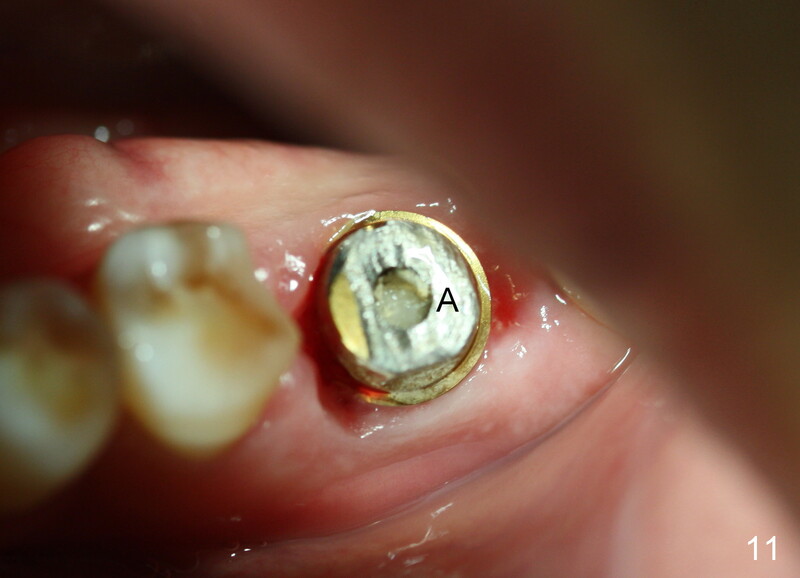 After placement of bone graft around the implant (Fig.6 *, 7 arrowheads), the provisional is temporarily cemented. 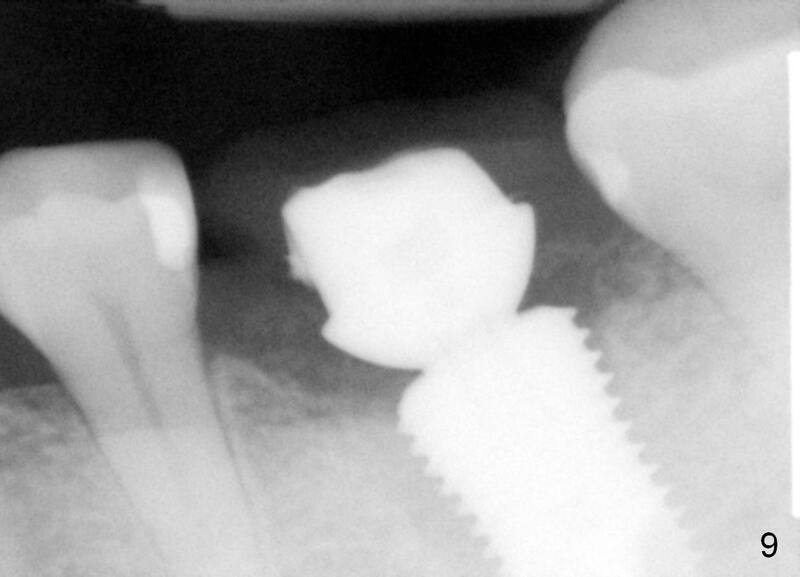 The patient returns for follow up 2 weeks postop. 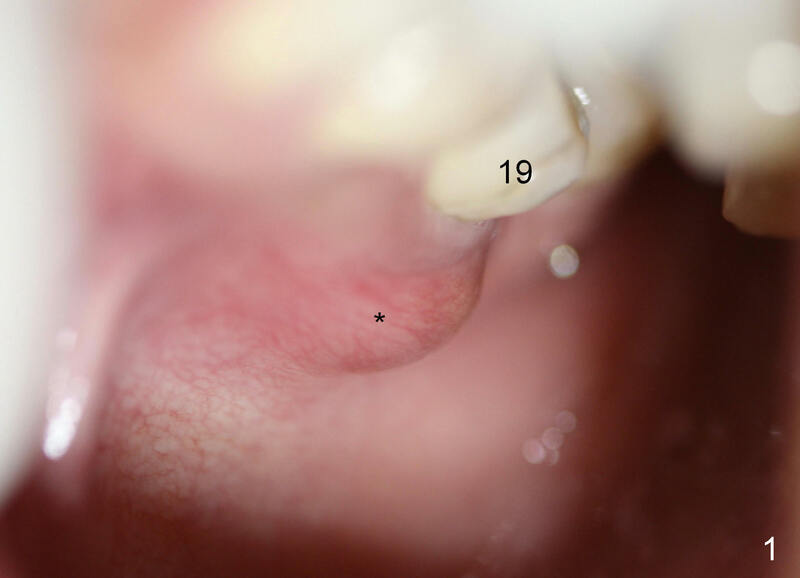 Except mild distobuccal gingiva tenderness, everything looks fine. She will return 4 weeks postop. 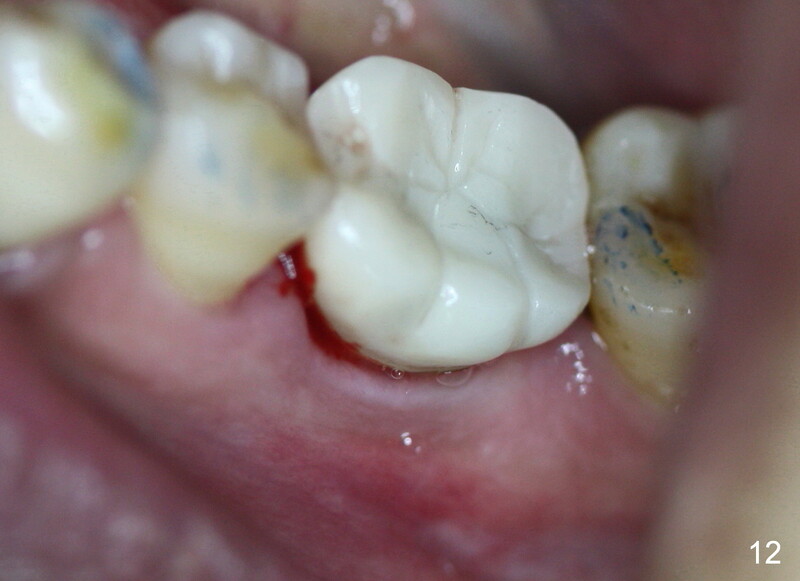 If the gingiva around the abutment is healthy, impression will be taken for a definitive restoration. The patient returns for final restoration 1 month postop (Fig.9-11). There is no infection (*). 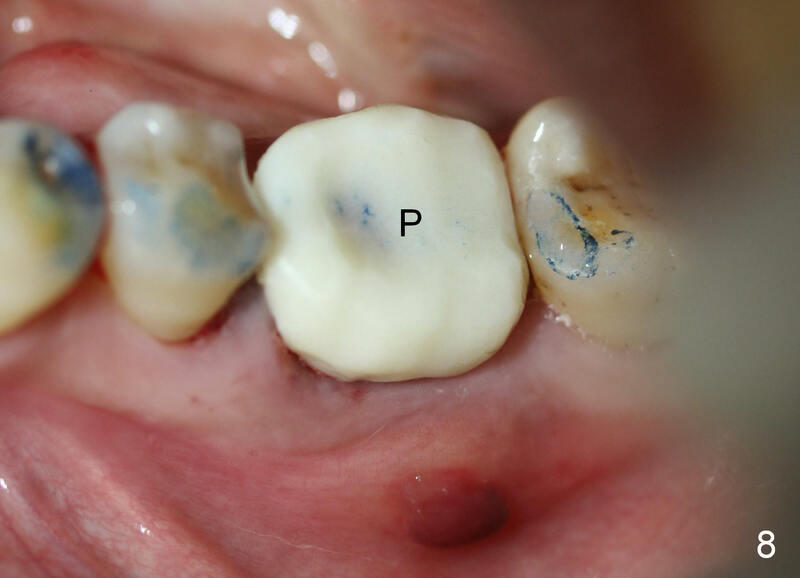 The definitive restoration is cemented 1 month 20 days postop (Fig.12). She leaves for home country in a few days.